The recently formed BVCF foundation held a special community public art event last fall on Saturday, September 29th when public artwork was created just outside of Blacc Vanilla Café. Live painting of the crosswalk outside Blacc Vanilla was open to the community using designs created by students from Excelsior Academy at NFA. 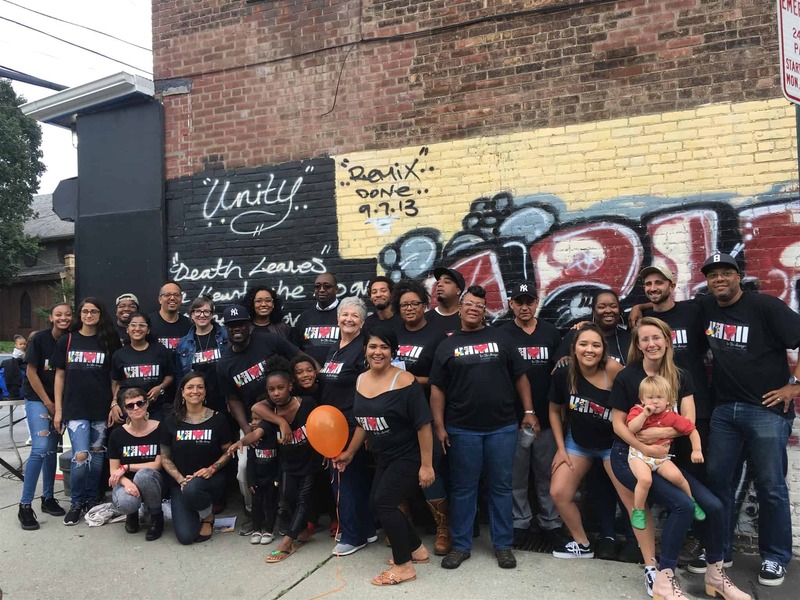 The event served as a part of Open Studios, an annual art event showcasing Hudson Valley artists at locations throughout Newburgh, but also as a launch event framing Blacc Vanilla’s larger purpose. Blacc Vanilla at just over a year old is serving more than coffee and smiles on South Street in Newburgh. In addition to activities like the painting of the crosswalks on South and North Miller Streets, the event kicked off the celebration of the donation of 100 bikes to 100 hundred children in Newburgh. The donation includes a bike helmet, light, lock and a safety map created by Scenic Hudson featuring Newburgh landmarks within biking distance at safe spots around the city. Blacc Vanilla will continue to feature the donation of bikes over time at various headliner events throughout the year. Not many cafés celebrate their one-year anniversary by establishing a not-for-profit community foundation. But Blacc Vanilla Café, like the community it serves, is unlike any other. For Melanie Collins and Jerrod Lang, owners and co-founders of Blacc Vanilla Café, the dream of owning a business on South Street began a long time ago. Collins recalled Lang mentioning the idea on their first date. It’s a big huge beautiful city, grab a corner! The couple had high hopes for the café. It took over four years in the making, but eventually, the duo settled on a name and a vision for the business: to create a place that would embrace the diversity of Newburgh and would bring different types of people together as one community. Part of that vision entailed establishing a cafe away from the growing hub of businesses on Liberty Street. “Right now, Liberty Street is like all the buzz, and everybody wants to open a business on Liberty Street. We want to be as far away from Liberty Street as possible, and encourage other people: ‘what neighborhood are you from?’ … It’s a big huge beautiful city, grab a corner!” said Collins. Since its opening in the fall of 2017, Blacc Vanilla Café has developed a reputation as the place where “everybody smiles here.” It’s chic black and white interior featuring colorful paintings of local and nationally recognized musicians creates a fun atmosphere that, paired with friendly staff, coffee, and yummy food, creates an overall atmosphere where anyone and everyone can feel at home. “You feel like you’re walking into your mom’s living room, or your best friend’s house. And I think that just feels good to people,” said Collins. She credits that welcoming atmosphere to their ongoing success as a café, as well as the café’s promotion of programs that benefit the community such as the Star Program, which allows customers to sponsor coffee or food for people who can’t afford it. As of September 11, 2018, Collins and Lang officially announced the launch of the Blacc Vanilla Community Foundation (BVCF), a not-for-profit social enterprise that will help Newburgh residents develop valuable skills and job training through a number of programs that promote economic self-sufficiency. Some of these skills include training in the culinary arts, hospitality, customer service, health care, information technology, construction, and commercial driver’s license, to name a few. Collins and Lang are far from establishing this social enterprise alone. They are partnering with and receiving the support of multiple Newburgh business owners, residents, organizations, and local politicians. Below the Line Bootcamp (with the help of New York City-based film and theater company Choice Films, students trained with film crews at Umbra Studios). “Ever since I met Jerrod and Melanie and found out about the Blacc Vanilla café, it’s been magical,” said Ed Lawson, one of BVCF’s founding members, at the press conference announcing the creation of the foundation. DJ gets ready to turn it up! With the help of their many partnerships and supporters, BVCF’s proposed programs and training will continue to create that magic for the city of Newburgh. “Everything exciting that is happening here is only as strong as the community it is happening in. Therefore we need you, we need the community…we need you to be a part of this in order for it to be a success,” said Tony Glazer, one of the managing partners of Choice Films Inc. 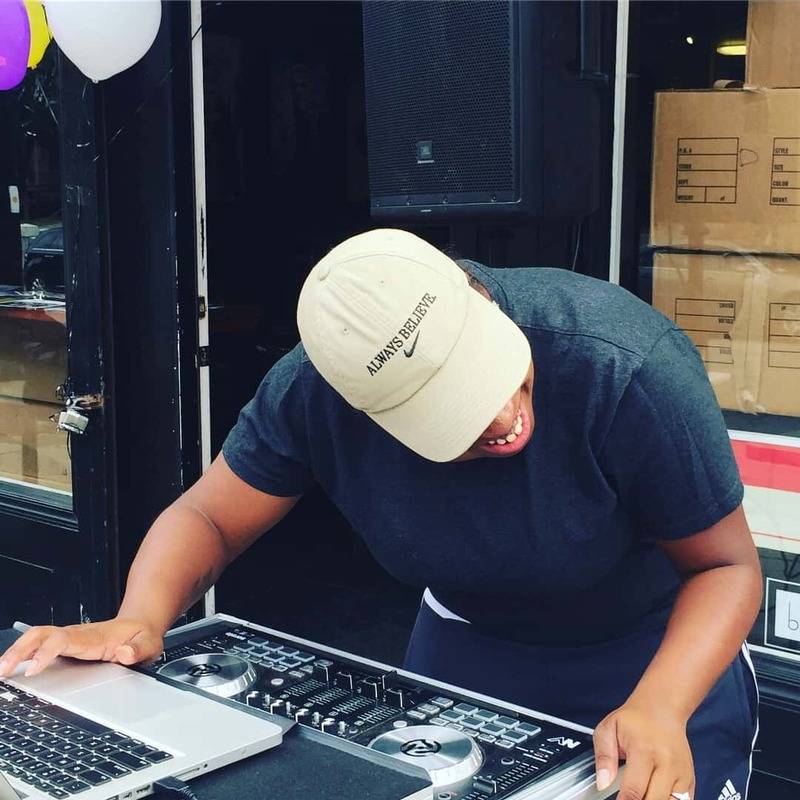 Whether Newburgh’s youth want to develop their own business, learn a trade, or prepare to go off to college, the Blacc Vanilla Community Foundation aims to provide valuable life skills to help them achieve those goals. “Our vision is to transform Newburgh into a thriving hub of craft, culture, community, and coffee. The programs we’re unveiling today are a big step toward bringing that vision to fruition,” said Collins. Blacc Vanilla is open Tuesday through Sunday from 7:00 am to 5:00 pm. They are closed on Mondays.